This is the last piece of wire wrap necklace I made since last weekend. 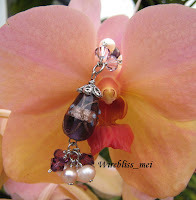 This one is purple themed consisting of pearls, glass beads and swarovski crystals. 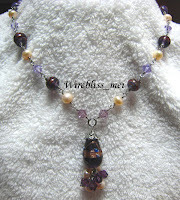 Glad to say this piece has been reserved as with the golden yellow and red themed necklace posted earlier.